How Secure is Britain’s Food Supply? As part of British Science Week (13th to 22nd March 2015) I joined a panel of experts and politicians to discuss food security in Britain at Derby Museum and Art Gallery. The UK faces a number of challenges to its food security, including long food supply chains, ‘food deserts’ in inner cities, wealth distribution imbalance, climate change and competition from abroad. These pose a real threat to the UK consumer; it is possible that food will become more expensive, choice limited or foods unavailable. Only this week we were warned that the cost of a new “Driver Certificate of Professional Competence” for transport haulers across the EU raises the prospect of ’empty shelves’. 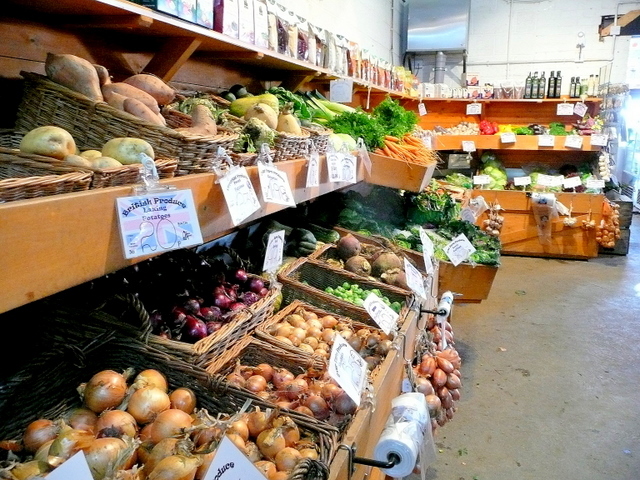 In the 1980s the UK used to be about 80% self-sufficient in foods that can be grown here. This has now dropped to around 65%. 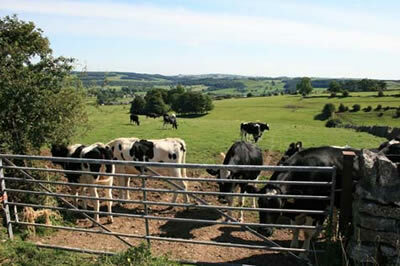 The National Farmers Union (NFU) has recently raised concerns that this may be too low. As a nation, we increasingly rely on international markets to provide us with the huge range and affordability of food which we have grown accustomed to. • Is the UK in a vulnerable situation regarding its future food security? • Following the horsemeat scandal in 2013 should consumers be concerned about the quality and security of their food? • Are organic foods healthier and better for the environment? Is it fair to expect UK consumers to pay the price premium for these products? • Are low food prices responsible for the incredible levels of food waste in households in the UK? • What can be done concerning the incredibly low prices paid by supermarkets to UK dairy farmers forcing them out of business? • Food banks are rising across the UK. Much of the burden has fallen on charities but is this really the Governments responsibility? Panel – The chair was Professor Paul Lynch, Head of Natural Sciences at the University of Derby. • Victoria Martindale, Derby Green Party Representative. There was an informative and lively discussion on the night. For space reasons, let me limit this blog to a few key messages. I am sure many of you can remember the shocking headline news last autumn. Britain, we were informed, could be plunged into blackouts over the winter. We were warned of the risk of power cuts and electricity failures wrecking havoc over the winter for many households and businesses across the UK. But did we have any of these black outs? No we didn’t. Who was responsible for putting these stories out there? The big energy companies. Why? In response to new EU legislation that restricted their dependency on fossil fuels these massive profit churning companies wanted to legitimize their ongoing use of polluting fossil fuels and justify getting their dirty hands onto our shale gas and fracking up our country. They did so by spreading fear across the country. This tendency to generate a state of fear, insecurity and panic among the British public and government is a ploy corporations often turn to in an attempt to justify their means to realise vast profits for themselves. It’s nothing more than scaremongering and their agenda is driven by nothing other than corporate greed. The food security issue is similar to the energy security one. We are frequently warned that with a predicted extra 2 billion mouths to feed by 2050 we could be facing food shortages. We were scared with threats of ‘empty food shelves’ this time. Really? Will we all be struggling to find enough food to feed ourselves and will our children’s children be at risk of starving to death? Shock! Horror! However, just like in the energy debate, you need to stop a moment and look at who lays behind these sensationalist stories. In this case it was the NFU scaring us with empty food shelves. The NFU is effectively the political arm of DEFRA. With its huge wealth comes huge power and influence over the UK’s agricultural policies. Its agenda is to maximise production, yields and exports in order to maximize the revenue and profits for its members, many of whom are already among the wealthiest of this country. It wants to drive an industrialised food production process which is heavily chemical dependent, savages the environment, and spits out poor quality mass produced food that is bad for our health and forces smaller scale farmers out of business. It’s time we faced up to the powerful monolithic institutions like the NFU and put the food security issue into perspective. If we display one iota of honesty we are not in a food crisis and we are not by any means about to be confronted with a single empty food shelf. However, that’s very different from saying we don’t need to address how we feed everyone and look closely at our production and distribution processes. We do and we also need to face up to our responsibilities to those in developing countries who don’t have food security even in today’s modern world. The other likely scaremongering suspects are the global high tech enterprises like Bayer Cropscience, Monsanto and Syngenta. They use food scares to legitimize their development of GM crops under the Panglossian guise it is the answer to all the world’s problems and is the only means to achieve food security for everyone. Yeh right. The continued industry promises about the ability of GM crops to tackle the world’s growing social problems are pure myth. GM crops are linked to massive increases in herbicide use, increase in greenhouse gas emissions, the expansion of mono-cultural farming practices and increased costs all along the food chain which the already starving and poor of the world can’t afford. They require huge areas of forests and valuable natural habitats to be cleared. This is ecologically devastating and overrides people’s rights to their native ancestral land, food, natural resources and traditions. GM crops are patented too with over two thirds of all patented food crops in the hands of the top ten companies such as Monsanto, Bayer, Syngenta, Pioneer and Dow. This means they monopolise the market and it allows them to control the research, breeding and ultimately the entire food chain of GM crops which returns them profits of eye watering proportions. Attempts to produce GM crops that are resistant to climate change, floods, drought tolerant, altered photosynthesis, and exacerbate intensive farming are all attempts by corporates to earn billions at huge cost to the environment, society and local communities, and our health rather than addressing the real challenges of sustainable food production like combating climate change in the first place. Research shows that we can feed a growing global population a nutritious diet without environmentally damaging factory farms and GM crops. This requires addressing the underlying difficult, but very important issues that currently affect food security and making fundamental changes to the way food is produced, distributed and consumed. The aim should be to provide healthy sustainable diets for all whilst living within environmental limits. The Green Party believes that GM foods are not the answer to food security. Instead, it promotes a set of sustainable policies based upon local production and distribution, lower meat and dairy consumption, more seasonal produce and which protect livelihoods and biodiversity to provide everyone with healthy nutritious foods. So, when asking about Britain’s food security, be careful who you ask. This entry was posted in Agriculture, Animal Rights, Candidates, Derby, Derbyshire County, East Midlands, Economy, Energy, Environment, Events and tagged animal welfare, British Science Week, Derby, Derbyshire, Environment, farmers, food, Food Security, Green Party, organic farming, Victoria Martindale. Bookmark the permalink.